Reduce the risk of mail fraud and protects against identity theft caused from paper statements. Is their a difference between my e.Statement and my paper statement? No, e.Statements contain all the same information as your paper statement. You need Adobe Reader to view, print, or save your statement. If you do not have the software, you can download Adobe Reader for free at https://get.adobe.com/reader/. Log into Online Banking and select your account. Click the e.Statements button to proceed. For customers with accounts combined to one statement, select the primary account that is listed as the first account on your paper statement. To save an e.Statement, select the "Save the Copy" icon in Adobe Acrobat Reader software and choose a file name for the statement. An email message will be sent to the email address you specify during enrollment following the close of each statement cycle to let you know your statement is available. Verify that your email address is correct. You can check this in Online Banking under "Mobile & Online Banking Options", and change or update your email address if it is incorrect. 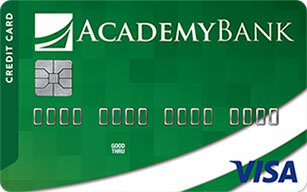 Make sure that you have added Academy Bank (academybank.com) to your trusted sender's site. Even if you have not received an email notification from us, you still have the ability to log into Online Banking to view your statements online. You will be able to view up to 18 months of your most recent statements. A combined statement provides your checking and other account activity in a single statement. Account(s) must have the same ownership to be combined. Log into Online Banking and start a web chat or send us a Secure Mail and request to receive paper statements. Call us at (877) 712-2265 and speak to one of our representatives.